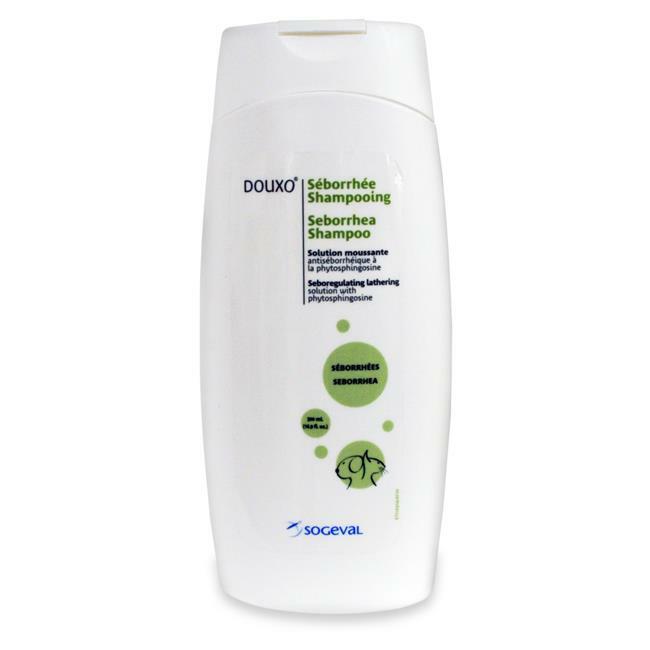 Douxo Seborrhea Shampoo is a lathering solution containing gentle hypoallerfenic cleansing bases. It is a topical management of seborrheic conditions in dogs and cats. Douxo Seborrhea Shampoo contains Phytosphingosine which is a natural component of the epidermis. It plays a key role in the building and maintenance of the skin defense barrier. Phytosphingosine efficiently controls the production of scales and sebum; it also has antiseptic activity to control the local flora. Douxo Seborrhea Shampoo leaves the coat clean, shiny and lustrous while removing excess body odor associated with seborrheic condition.